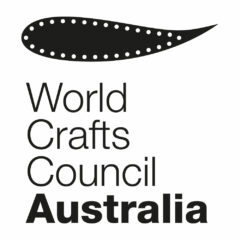 While there have been significant cuts to the Australia Council funding available to artists and organisations, it still remains a significant resource for supporting works of artistic promise. Having recently served as a peer, I can share some observations that may be useful if you are thinking of applying in the future. From a positive perspective, a good application places the project in a broader strategy, which points to future outcomes. It includes a clear and interesting question that is being asked. And it has a defined focus, rather than a scattergun collection of ticked boxes. On the other side of the table, it is critical to have an advocate for craft who can articulate more medium-specific values. As a minority art form, it is easy to dismiss craft practice as “niche” or parochial. All worthy art is ultimately “niche” as it involves a level of specialisation that sets it apart from mass culture. But the value of skill is not as obvious as the more conceptual meanings attached to visual art practice. And craft practice is rarely associated with the more glamorous locations of New York and Berlin, nor are there the international flagships of Venice Biennale or major art fairs. In my experience, other peers are very respectful of the craft voice and are genuinely committed to taking it on board. Visual Arts staff can make up for an absent perspective, but having an independent craft voice at the table helps greatly. So do consider registering as a peer to fight for the cause as the modest pool is allocated. That said, funding is not the only form of recognition for valuable work. Platforms like our Garland magazine are also worth supporting as ways we can acknowledge and encourage handmade works of great skill and meaning. The next round of Australia Council grants is due 7 February 2017. You can nominate to be a peer here. Thank you Kevin! I’ve been urging craftspeople to put their names forward as peers for exactly the same reasons. It’s really important that craftspeople retain a string voice and distinct identity within the wider arts context.